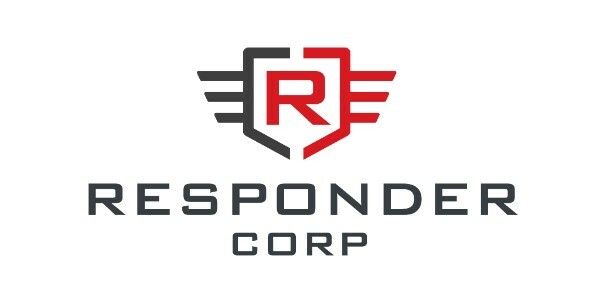 West Palm Beach, FL – Responder Corp, LLC welcomes the addition of two leaders in the public safety community; Matt Kuivinen as Vice President of Agency Relations and Rob Farmer as Vice President of Industry Partnerships. Matt and Rob will be critical in the support of Responder Corp’s commitment to enable entrepreneurs and empower first responders. “We’re excited by the growth of our team with passionate and high-integrity individuals that believe in our mission and understand our vision for the future,” said Nathanial Wish, Co-Founder & CEO of Responder Corp. “Matt and Rob intimately understand the commitment required to successfully innovate in the public safety industry, we look forward to learning from their experience and growing with their expertise,” said Bryce Stirton, Co-Founder & President of Responder Corp.
Matt comes to Responder Corp with over 20 years in public service. Matt began his career as an EMT in New Orleans, later transitioned into Emergency Management, and then moved into law enforcement becoming a member of the Foreign Service. As a Special Agent with the U.S. Department of State, Matt managed an immense criminal investigations portfolio and served on countless dignitary protection teams both domestically and overseas. Matt served tours in Afghanistan and Yemen in the diplomatic corps where he supervised a large workforce, and regularly collaborated with various international senior public safety and military officials including in the role of senior law enforcement representative and security advisor to the U.S. Ambassador, the Emergency Action Committee, and the embassy’s Law Enforcement Working Group. After nearly a decade in the Foreign Service, Matt started his own government contract and security consulting business, continuing to serve the U.S. government as a credentialed investigator. Rob Farmer has served for more than 30 years in Fire, EMS and Emergency Management, with 15 of those years in executive-level leadership roles. After spending 14 years as career firefighter/paramedic on a suburban fire department, and nearly a decade as the Chief of a countywide EMS agency, both in central Ohio, he moved to SW Florida to serve as a countywide Director of Public Safety (EMS, EM & communications) in a Gulf-coastal community. He currently serves as a Commissioner for the American College of Paramedic Executives. LAS VEGAS, NV – Technology has long been mission critical for public safety. However, today, more than ever, agencies are turning to innovation to help solve increasingly complex challenges. ResponderXLabs was built to support the growing importance of technology for public safety. By bringing together industry, the Program provides enablement resources to entrepreneurs to give cutting-edge technology an easier path to market and first responders better access to the solutions they need. In order to align incentives, and meet the needs of a diverse ecosystem, Participants in the Program are divided into three components; entrepreneurs, public safety agencies and industry. The Program provides industry leaders with curated access and opportunities to leverage cutting-edge technology. 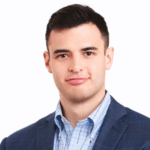 “ResponderXLabs provides a new mechanism for established companies to partner with startups and public safety agencies to incubate, validate and scale innovation in the public safety market – creating a funnel of opportunity for the enterprises that embrace it”, says Dustin Haisler, Chief Innovation Officer for e.Republic & ResponderXLabs Board Member. Click to watch the ResponderXLabs Launch Video. The formal announcement for the launch of ResponderXLabs will be made at APCO on Tuesday, August the 7th, during the 2:45pm PT Session “Supporting a Healthy Ecosystem of Innovation”. 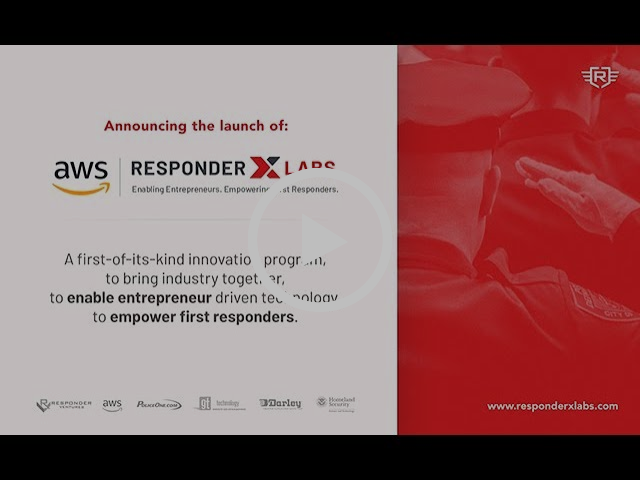 ResponderXLabs is a first-of-its-kind program, enabling and showcasing cutting-edge technology specifically curated to solve first responder’s needs. The Program provides enablement resources built by successful entrepreneurs, experienced agency leaders, and first responders specifically designed to help innovators overcome the unique challenges faced when taking a new product to the public safety market. The Program helps public safety agencies leverage innovation by identifying needs and curating technology that can better serve their agency. Through proprietary access to entrepreneurs and opportunities, the Program enables industry to enhance product offerings. Nate and I spent last week in DC as first-time attendees at the AWS’s Public Sector Summit. We attend many events, but they’re almost exclusively public safety focused. So this one stood out to us for a number of reasons, and we felt compelled to share with the rest of the public safety industry. Bottomline, we have a lot be excited about for the future of cloud-enabled innovation to support first responders. A diverse mix of government leaders, entrepreneurs, and corporate stakeholders made up a majority of the 14,000+ attendees that were on hand to see the future of cloud-enabled technology, a game changer AWS calls “a technology shift unlike any other in our lifetime.” It certainly wasn’t a surprise for us to see an AWS event well attended, but it was surprising to hear how quickly the Summit has risen to this level of popularity. According to keynote speaker and Vice President Teresa Carlson, the Summit was started just five years earlier with a small group in a rented hotel conference center. It’s a reflection of the massive growth AWS itself has seen, again according to Teresa Carlson, AWS is the fastest company ever to reach $10 billion in sales. But where was public safety? Given this Summit was public sector only, their focus was on AWS government customers and a broad mix at that. We were pleasantly surprised at how much state and local government was represented in attendance and content with the panel sessions. We were disappointed however to see little attendance and focus on public safety, all this despite active effort from AWS to promote the industry. AWS has a strong and active team supporting entrepreneurs with a focus on first responder technology. Public safety’s Utility Inc. was selected as a 2018 winner of the AWS “Partners in Innovation” Award; yet, we didn’t see much participation or presence at the event from the public safety community relative to other areas of local government. More than anything we think this is a reflection of just how far cloud technology still has to go in the industry. An IACP survey found that just 16 percent of law enforcement agencies currently deploy cloud computing for criminal justice data, and only 38 percent are planning to implement the solution in the near future. Meanwhile, well-funded and technology advanced agencies like the NSA are announcing intentions to move “all-in” on the cloud. This conference was not about flashy consumer technology far outside the budget of the average police agency. For the most part, the Conference wasn’t about wild ideas that may come to fruition some unknown day in the future. It was about real ways real agencies are leveraging innovation for positive change, today. We’ve long heard about the benefits cloud will provide for the public safety industry, last week, we saw it in action. Seeing the technology applied successfully in action at the local government level gives us confidence the broader the public safety industry will be soon to follow. Moving from Why? To How? To What? This year, we’ve seen a significant shift in the way the general public safety public discusses cloud technology. The conversation has moved from ‘why should we change?’, ‘to how can we change?’. And that’s a big deal. Because the next question will be ‘what can we do now that we’ve changed?’ And we’ve long believed the answer to that question will redefine the industry. All 10 of our portfolio companies leverage the cloud, and this isn’t by coincidence. Technology has been a central piece of our investment thesis from the start. We believe the cloud has the power to solve one of the industries’ biggest technology hurdles (fragmentation) and will enable widespread adoption. Cloud can allow even the smallest agencies in the most remote corners of our country access to cutting-edge technology. That’s an incredible breakthrough we’re proud to support. By removing upfront hardware costs and enabling remote installation, integration, and maintenance, cloud gives agencies of all sizes and location access to technology previously they couldn’t even identify, much less afford. And vice versa; without the need to travel and manage expensive upfront costs, entrepreneurs are better able to engage with smaller agencies to deploy their solutions. The increased accessibility enabled by cloud technology can help deliver entrepreneurial solutions at a scale previously unseen in the industry. Cloud will enable cost savings and ease of deployment that can give even the smallest public safety agencies access to cutting-edge, entrepreneur-driven, technology – a first for the industry. Last week we saw first hand the powerful solutions cloud technology can enable for local government. While public safety played a minor role in that showcase, we’re highly optimistic that role is going to increase significantly in the near future. We work every day with an entrepreneurial community building impactful technology for first responders. It’s time for the rest of the industry to see these solutions in action. The cloud is going to help make that possible. We look forward to seeing public safety’s increased presence showcasing progress in innovation at future events like the AWS Public Sector Summit. Responder Ventures, LLC is a venture capital firm formed to identify, invest in, and manage a portfolio of technology companies that provide innovative products and solutions to the public safety sector.